Myrtle Beach and North Myrtle Beach are home to some of the finest championship golf courses in the world. 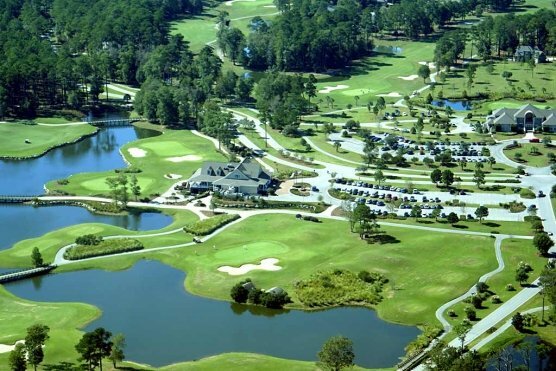 Myrtle Beach Golf Authority golf packages offer the very best in Myrtle Beach and North Myrtle Beach accommodations as well as booking all of your Myrtle Beach tees times at any of the nearly 100 golf courses. While visiting the Grand Strand you most certainly want to check out two of the outstanding Myrtle Beach golf stores. Offers the very latest in golf equipment, golf apparel, footwear and golf accessories. The PGA Tour Superstore also has the latest tennis equipment and apparel. Their motto is “If you can find it on tour, you can find it here.” A few of the equipment companies that they present are Callaway, Titleist, Ping, TaylorMade, Wilson, Nike, Adams and many more. In 2015 it was listed by Golf Digest Magazine as “America’s 100 Best Clubfitters.” They have the most recent club fitting technology to ensure that your clubs will be just right for you. Some of the services provided by the PGA Tour Superstore include: Club Repair, Myrtle Beach golf lessons, Performance Practice Center, Junior Golf and Tournaments and Events. Golfsmith International is the largest golf retailer in the world and it is based out of Austin, Texas. In 2015 Golfsmith Extreme opened in North Myrtle Beach. It offers everything that that a golfer possibly could want. Every major golf equipment and apparel company are represented in this beautiful store. Some of the services provided by Golfsmith are: Custom Fitting, Business Logo, Club Repair/Customization, Myrtle Beach Golf Vacations, Golfsmith Coupons, Hole-In-One Insurance, Golf Tips and a Mobile Site. Programs that are offered include: Lowest Price Guarantee, Performance Guarantee, Handicap Tracker, Golfsmith Clubvantage and Tournament Solutions. Your Myrtle Beach Golf Authority golf package will be complete with a visit to any of these Myrtle Beach golf stores. If you don’t’ feel like bringing your golf clubs there is no need to worry. Golf club rentals are available at either of these stores or at most of the Myrtle Beach and North Myrtle Beach golf courses. If you would like a Myrtle Beach golf lesson from a renowned Myrtle Beach golf instructor there are numerous choices. Bottom Line, it is time to book a Myrtle Beach golf package today!